a new Kobold / Catacombs themed battlefield. It is already possible to pre-purchase 50 packs from the new expansion for 49.99 USD / 49.99 EUR / 44.99 GBP. 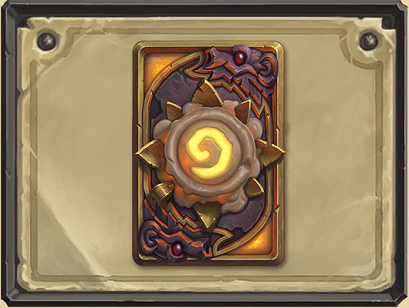 The reward for pre-purchasing is the new For the Hoard card back, see picture below. Recruit is a new keyword that is being added to the game. It means remove a random minion from your deck and summon it onto the board. It is already present in the game in cards like Y'Shaarj, Rage Unbound. In this section, we list all the cards (out of the 135) that have been revealed. Credits to HearthPwn for the images. In Kobolds and Catacombs, each class gets its own Legendary weapon. Spellstones are cards that you can play or that you can upgrade twice by performing a given action. Upon entering your hand, Unidentified Maul gets randomly replaced by one of these four cards. Upon entering your hand, Unidentified Elixir gets randomly replaced by one of these four cards. 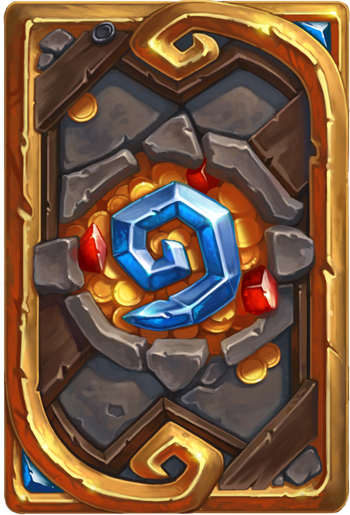 Upon entering your hand, Unidentified Shield gets randomly replaced by one of these four cards. Dungeon runs are a new game mode in which, you will start with a small deck of your choice and battle through 8 increasingly difficult encounters (out of 48 possible). Each time you win a battle, you get to add dungeon run specific cards to your deck to strengthen it and beat the next encounter. If you lose, you start again from the beginning. 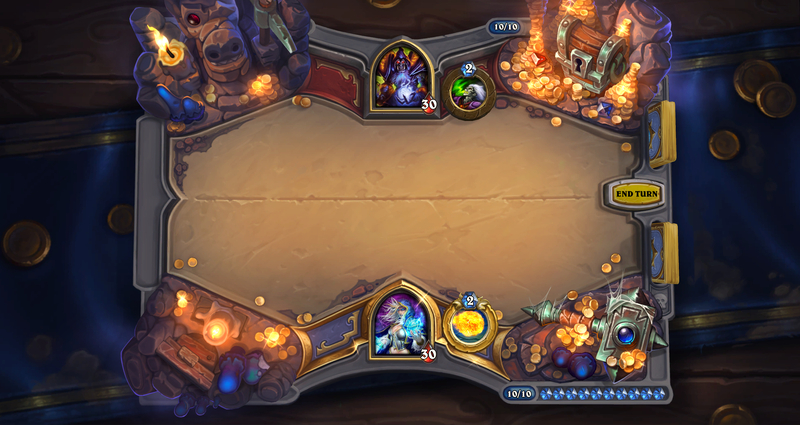 For more information about dungeon runs, please read our Dungeon Run preview from BlizzCon and our coverage of the Hearthside Chat with Dave Kosak: Dungeon Runs. 05 Dec. 2017: Added all cards. 03 Dec. 2017: Added today's reveals. 02 Dec. 2017: More reveals. 01 Dec. 2017: Added recent reveals. 29 Nov. 2017: Added today's reveals. 28 Nov. 2017: Added today's reveals. 27 Nov. 2017: Added today's reveals. 26 Nov. 2017: Added today's reveals. 25 Nov. 2017: Added yesterday's reveals. 24 Nov. 2017: Added the new cards of the past few days. 20 Nov. 2017: Added 9 card reveals from official stream. 05 Nov. 2017: Added BlizzCon articles from Saturday. 03 Nov. 2017: Added initial version of hub.